The bright red phone booths across the UK are always catching my eye! I have about a gazillion photos of these booths from hikes and walks and travels in the last three years. 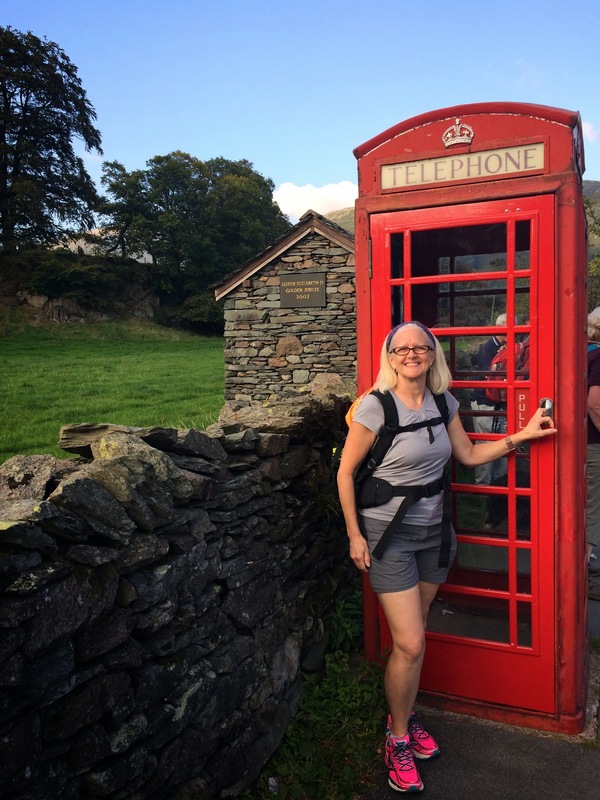 This one is from the Coast to Coast walk in Grasmere with Diane. 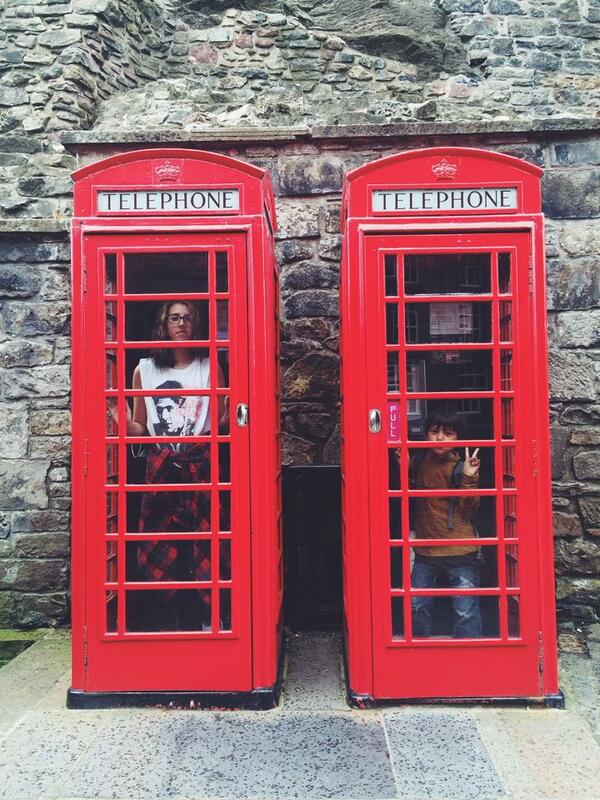 But there are two red phone booths that I go back to again and again. They are bright and clean and always ready for your photo! Also they are right next to the cleanest free bathrooms in Edinburgh. HANDY! These two gems are right inside the walls of Edinburgh Castle. I made what will mostly likely be my last trip to these bright booths in April with these two sweet friends, Donna and Tanja. Of course, I also love the phone booths that appear in the middle of nowhere! This one is my sister in Kirk Yetholm, Scotland along St Cuthbert’s Way (also the end of the Pennine Way). Do you have a favorite red phone booth in the UK? Do tell me where it is! Love these! Nathan and I will definitely have to photoshoot here if we visit Edinburgh. Not in the UK, but I had one in Batesville (Arkansas, for you Brits) until one day I noticed … it was gone! It was in downtown Batesville, on beautiful Main Street at an outdoor flower nursery. I still haven’t figured out what happened to it, but your post reminded me that I need to ask that nursery owner what he did with it. I LOVE your red UK phone booths! What fun pics! Such a fun post! 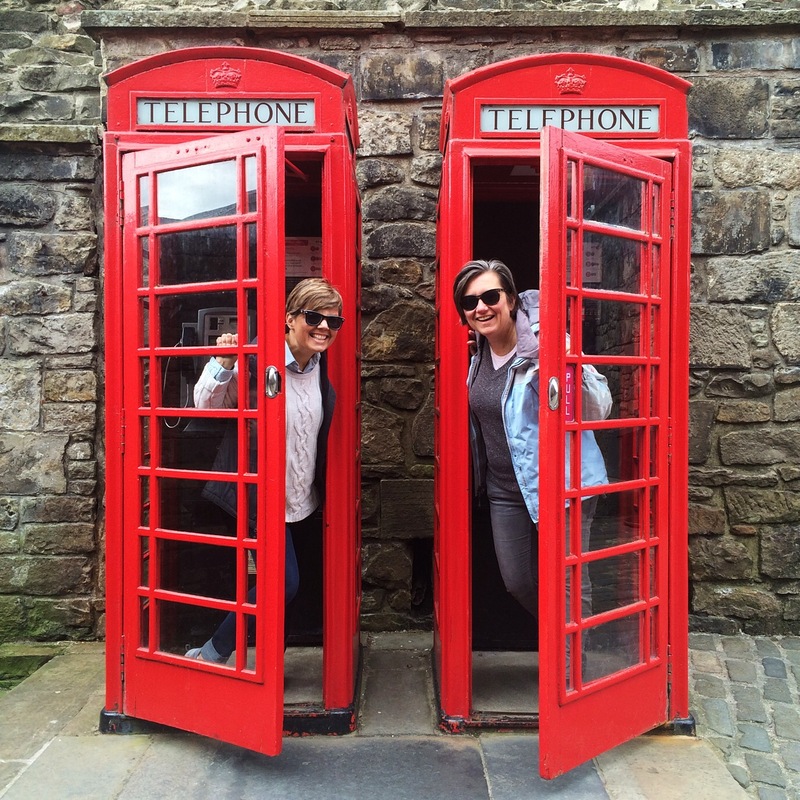 I also love the red phone booths…great idea to take photos of all those you find in the UK. Mind you, these could even make for a great photobook that you could sell – just a thought there 🙂 PS: I remember my last visit to Scotland. It was freezing cold…but oh so beautiful.